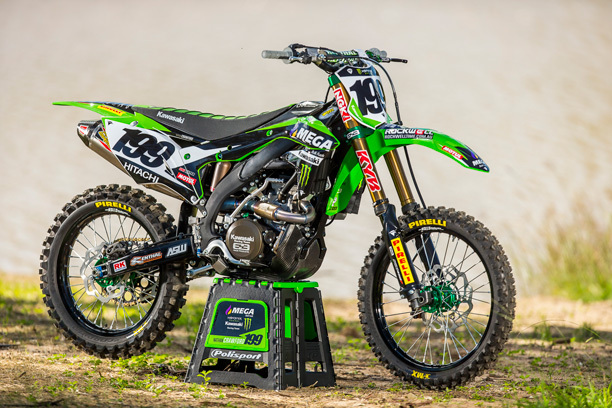 Brett Metcalfe has signed to compete with the MEGA Bulk Fuels Monster Energy Kawasaki Racing Team to take on the second-half of the 2017 MX Nationals series with his factory Kawasaki KX450F. Metcalfe debuts for Kawasaki at the next round of the 2017 MX Nationals Calendar (round 6) to be held in Nowra, NSW on 2nd July. The proven motocross veteran is confident that he will maximise on the new partnership to deliver podium level results, saying “signing up with the team gives me an opportunity to continue racing in Australia as I planned and to finish the series out with a professional race team. Metcalfe joins the team currently in 9th place on this year’s MX Nationals leader board, his best result a third place overall at Murray Bridge. “For me to jump onto this ride when this opportunity came up was a good fit. 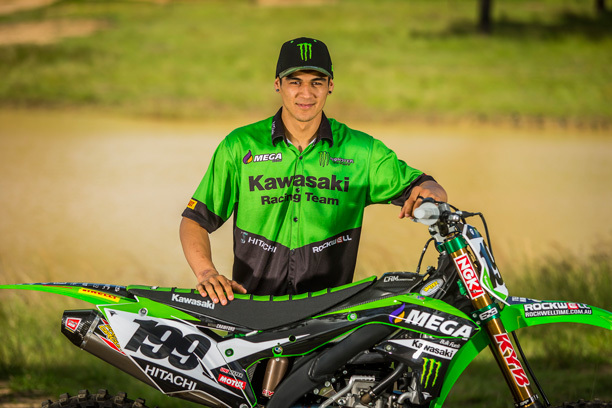 Metcalfe has seen his fair share of success with Kawasaki machinery throughout his professional racing career, “I raced a Kawasaki from 2013 to 2015 and I also rode for the Monster Energy Pro Circuit team in the U.S. for two years (2007 – 2008), so I’m familiar with the Kawasaki brand and some of the sponsors. Formal training on the KX450F is scheduled to begin right away. “I haven’t ridden the current KX450F model so I’m excited to learn about the improvements and how they are going to benefit me. “The challenge will be getting up to race speed as quick as we can and from there we will contend for race wins. Brett Metcalfe will ride alongside teammate, Nathan Crawford who has established himself as the quickest rookie MX1 rider in the paddock. Team Manager, Troy Carroll is delighted with the team’s newest acquisition, saying “it is fantastic to bring a rider like Brett Metcalfe to the team and we are looking forward to securing the results that the MEGA Bulk Fuels Monster Energy Kawasaki Racing Team deserves.